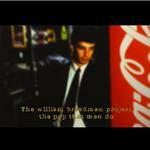 Sign up for Broadjam today to follow THE WILLIAM BREADMAN PROJECT, and be notified when they upload new stuff or update their news! 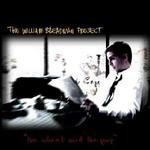 Second William Breadman Project Album. COULD I GIVE UP OF MY DOMAINS? IF I CAN, WHY YOU CAN?T? GUESS IN THE END, WHO WILL REALLY BLEED IN FEAR? CAN?T YOU SEE MY SEEDSS? SHOULD I HAVE TO RUNAWAY? TO TAKE ME BY THE HAND? MY BROTHER, HAVE YOU EVER FELT LIKE A WORKING ANT? IN SEEING THE SUN, FOR THE LAST TIME? CAN YOU FEEL , TINY STRINGS, ATTACHED TO YOUR COLLARBONE? DO YOU REALLY KNOW, WHEN YOU ARE ALONE?